Isometric Exercises, the art of exercising even without moving? Can this be true? With all the hype on weight loss nowadays, it can really be confusing to find out what works and what doesn’t. All these noise and bold claims from various sources is very distracting. No matter what the media says, there are only two things you need to lose weight – a well-balanced diet and good dose of exercise. There are no quick fixes when it comes to losing weight. On the bright side, there are plenty of options with regards to food choices and exercise programs. One such type of program is motionless exercise also called Isometric Exercises. Isometrics, motionless exercises provide a way to stimulate your muscles without having to move or lift heavy weights. Although this form of exercise has been around for thousands years, it has only been recognized as form of strength training in the 1900′s and is widely used today by athletes, weight trainers and power lifters. All you need to do is find an immovable object, such as a wall, and press against it for 8 – 10 seconds, then release. You can do about 10 repetitions or sets per isometric contraction. 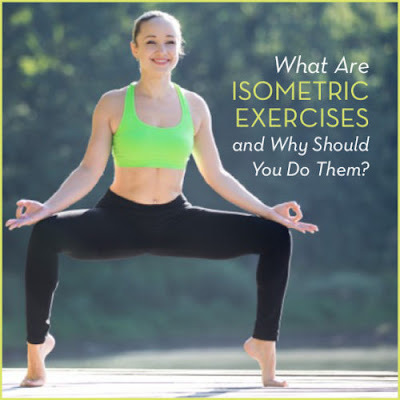 With Isometrics Exercises you don’t have a lot of time for a ‘traditional’ workout or if you are just starting on your exercise routine and need to do it a little slower. This form of exercise is based solely on your body weight for resistance. As such, you don’t need a lot of special equipment to exercise and you can do these virtually anywhere, even at your desk or on your daily commute. Since isometric exercise can be squeezed in your daily routine and can be done in just a few minutes, you can benefit from this amazing form of exercise no matter how hectic and busy your day may be. They’re so simple and easy to do; they don’t need that much creativity to implement them! Since you are only using your own body weight, the only disadvantage is that you will reach a point where you won’t be gaining more muscle because you won’t be able to add weight to your workout like you would if you were lifting weights. So when you’re body becomes accustomed to the intensity of your exercise, you won’t be making any more progress. Unless you’re stuck in a room with not much else to do, you might find isometrics really boring. One thing you need to watch out if you’re planning on doing isometric contractions is your blood pressure. When you are performing isometric muscle contractions and you hold it for a few seconds, blood pressure suddenly increase which can potentially lead to a ruptured blood vessel if you’ve got aneurysm or heart conditions. You might also faint if you hold it for too long with poor breathing techniques. Isometric Training has its advantages and disadvantages. As with any well-rounded exercise routine, you need a healthy mix of different exercises. Also, pay close attention to your diet. Eating the right kind of food, in moderate amounts at the right time will certainly speed up your results. This can greatly complement your weight training efforts. If you want to start an exercise program and you are not sure which one to pick, I will suggest you give P90X a try. P90X is a complete program: exercise and nutrition. You will have a daily routine to follow: exercise and nutrition. Nothing much to think about.